Selling the nine is convincing a defensive back that he’s in that race every time a receiver releases from the line of scrimmage. The nine — also called a “Go” or “Fly” route — is basically a straight line. 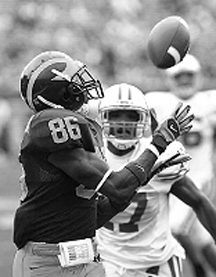 As such, it serves as the stem for many other pass routes a receiver can run. By stem, we refer to another straight line, the one a receiver runs when he escapes the line of scrimmage and races to the breakpoint of his assigned route. If a receiver can fool a defensive back into thinking he’s going deep, then the underneath routes that break off the nine open up. Separation from the defender covering him – the goal of any receiver – becomes easier. The route gets its name from the simple fact that in most passing trees, it is the number “9” route. 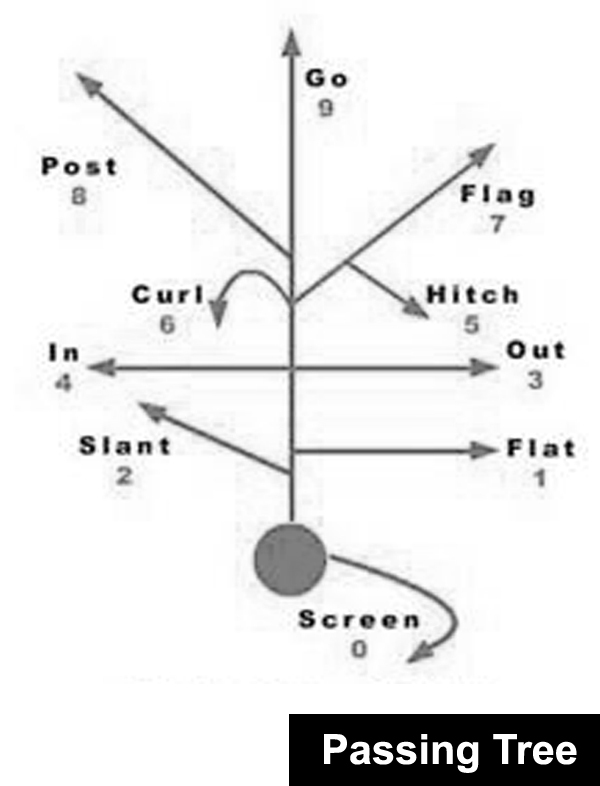 A passing tree is a diagram of the different pass routes assigned to specific receiver position. The nine acts as the trunk of the tree and the routes breaking off it look like the limbs.